I’ve been spending a lot of time in the Arts District of DTLA… and even more time in these comfy basics. 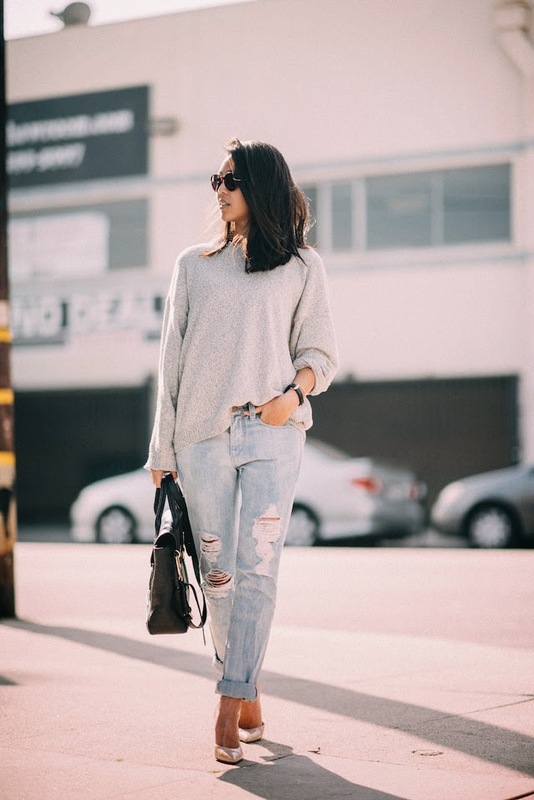 Boyfriend jeans have been my daily go-to these days with a rotation of a few neutral tops (depending on weather). This year I’ve really been loving light colors for winter. Something cool yet cozy about it, non? I lived in kansas (so flat) when I was younger and then moved to san diego… I’ve now been in New York for high school and college and I must admit I miss the adventurous outdoors, the beach, warm weather, hiking, Palm trees, and In n Out. I am so jealous. Enjoy California!! B bear I bought this sweater (or a sweater that looks like this from Brandy Melville). I’m a freak, but the cost was good, you make everything look cute, and I needed a grey sweater. 😀 Love you. Ehehehe. thank you thank you thank you! if a youtube channel comes to be, i will be sure to let all of you know 😉 thanks for reading and for your support!